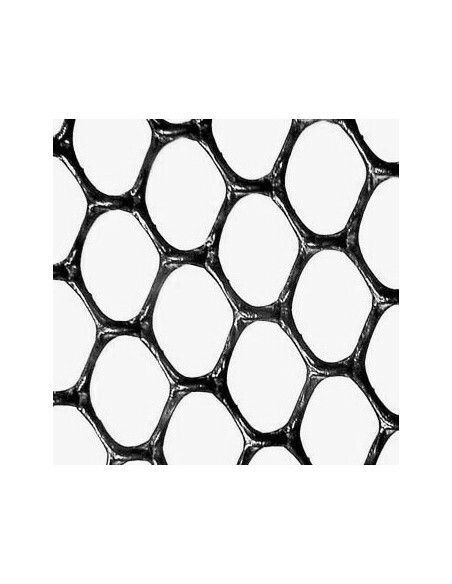 Turf protection mesh made from 100% recycled HDPE for the protection and reinforcement of grass and turf. 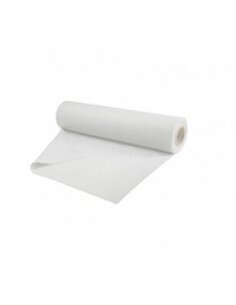 Supplied in a 2m x 30m roll. 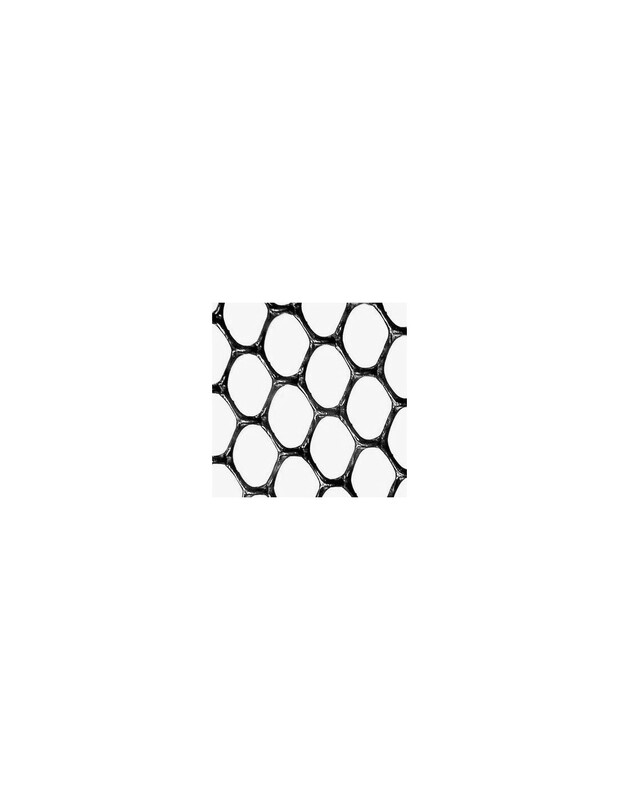 This is an extruded HDPE mesh for the protection of existing turf. Please note if the ground is already muddy, we recommend using the Heavy Duty Grass Protection Mesh. Suitable for areas subject to light vehicle use and pedestrian use. Could you confirm the suitability of grass protection mesh for a disabled access route to be usable by conventional wheel chairs. The path will be on the outfield of a cricket pitch will this mesh be suitable for cutting by a heavy mowing machine and occasional rolling. Moles will also be a problem so will your mesh be prone to their damage. 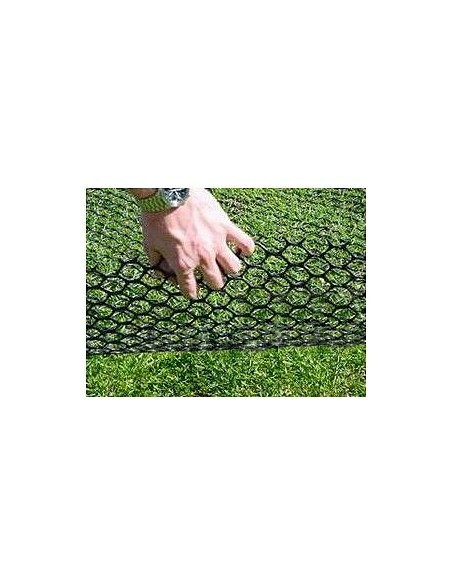 Hi, the grass protection mesh is suitable for wheelchair access and will prevent damage from moles, rabbits etc. 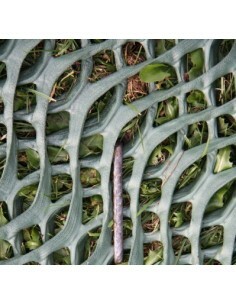 The grass can be cut as normal though the mesh will need to be pegged down with additional fastening pins. 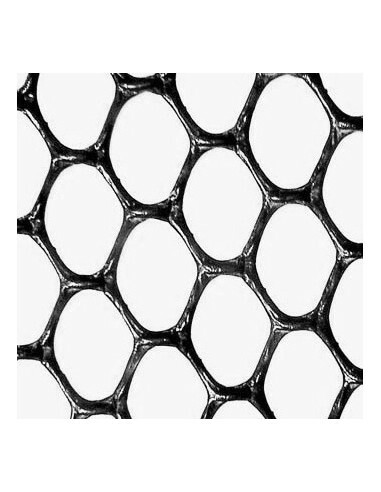 Can you tell me the thickness of the mesh. Also is this the product you would recommend for protecting the gate area and perimeter of a small grass paddock where we keep a large dog, this area gets very muddy in winter when he runs up and down this area. Hi Tony, the mesh thickness is approx 4mm. 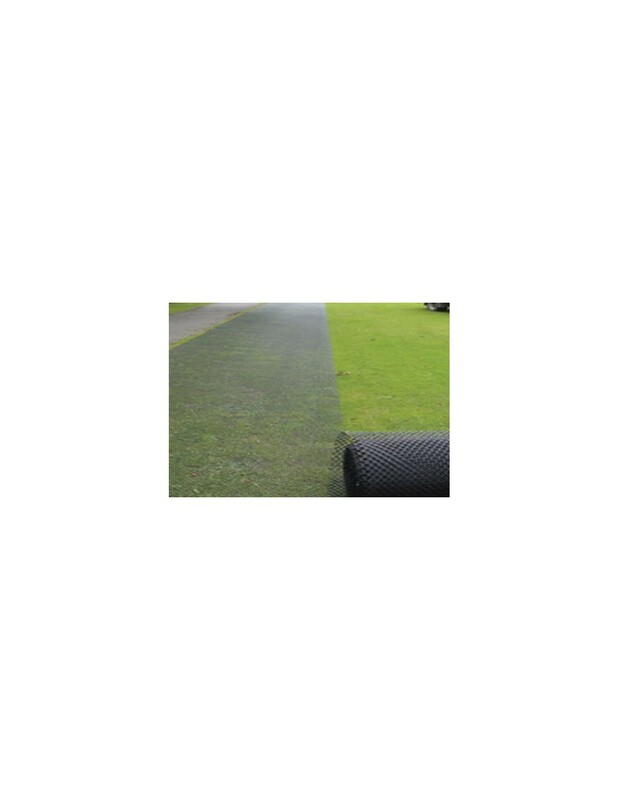 For the gate area we recommend a Rubber Grass Mat (RM/0120). The mesh can be used around the perimeter and gate area, and the Rubber Grass Mat can go on top of the mesh for added stability in the gate area. 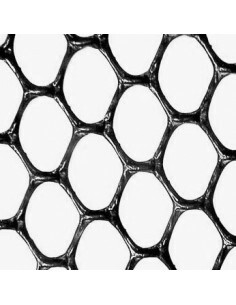 How big are the holes in the mesh please? Hi, the holes are 4cm across. Hi, I have a garage separated by approximately 7 metres from a tarmac driveway and laid to grass. I want to park a car in the garage (shock!) and want to know if your mesh would be suitable for laying onto the grass please. The mesh is often used as a temporary car parking surface for events and such, but over time will start to tear and break up in places. For a more permanent grassed surface, I would recommend using the mesh in combination with our Rubber Grass Mats - RM/1020 (lay the mesh first and put the grass mats on top) or our Permeable Paving Grids - GP/0400. 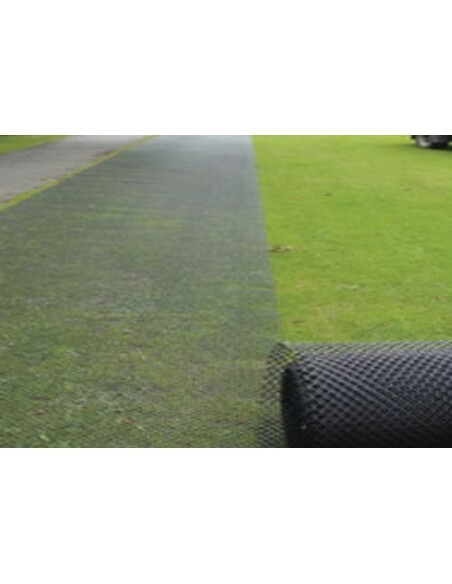 Hi, we have a sloped drivewat which at the moment consists of coarse chippings and sub strata capable of supporting goods vehicles, is this Grass Protection Mesh system suitable for sloped driveways? 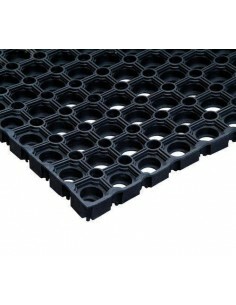 The mesh should still provide good traction and stabilisation on a gentle slope, but for steep slopes and a more robust product I would recommend the Permeable Ground Reinforcement Paving Grid.